Furry Feline will be debuting their brand new Chef Tako Say Cheese resin figure at this years Wondercon. Chef Tako is both a sushi chef and a photographer who has a thing for analogue cameras. 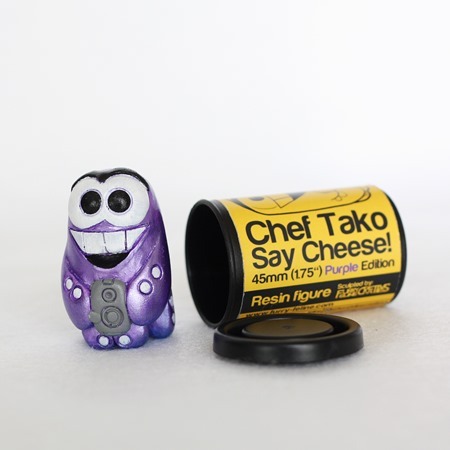 This purple edition stands 1.75” tall and features a metallic rub, acrylic paint and Monster Kolor. You can find them at their booth #1869 or even online HERE for $20. Here’s a look at De Korner’s 2nd WonderCon exclusive – elusive TESTYPE-00 Minicel which was teased back in December. We weren’t sure if this was EVA going to come out, but we’re happy to see it’s about to drop. 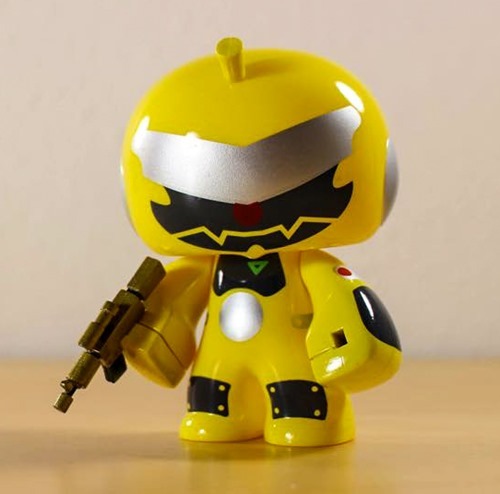 Limited to 100 pieces, this yellow and black design from Kuso Vinyl and Rotobox includes two golden guns and will be available for $18 at the De Korner Booth (#1947) throughout Wondercon (4.3 – 4.5). 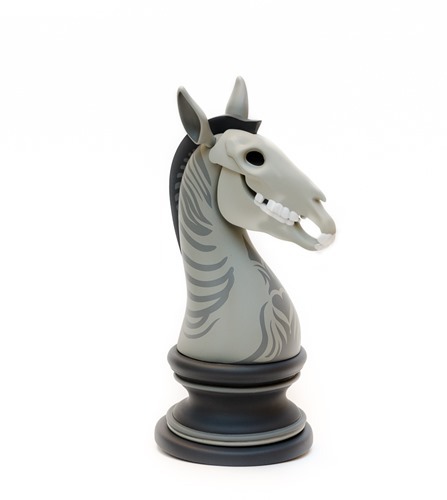 As with their Last Knight Grayscale exclusive, De Korner will release a limited quantity of their exclusive minicel on Thursday (4.2) @ 10 AM PDT from their webshop. Super7 will once again be making their way to this years Wondercon. With them, they will be bringing the all new “Molten Magma” Fossilla figure. This exclusive features a red vinyl with glossy metallic sprays of maroon, blue, purple and black. The new Fossilla will be available at their booth #1639 all weekend long for $95 each. Oooh. De Korner will release their WonderCon Exclusive Last Knight Grayscale (100 pcs, $75.00) from Andrew Bell at the convention this weekend in Anaheim. This edition has a subtle, refined look – perfect for “mono” collectors and AB fans. The figure will be available at the De Korner booth (#1947) when Wondercon opens on Friday (4.3) and throughout the convention. In case you can’t make it out to the convention, De Korner will also be doing an online drop of a small quantity of the Last Knight on Thursday (4.2) @ 10 AM PDT from their web shop.